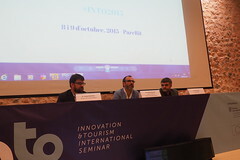 For the past 11 editions, since the first INTO in 2004, a variety of themes related to tourism products have been analysed, such as culture, yachting and health, as well as marketing instruments like branding and the social media. We have also debated the new ways of addressing sustainability in the sector with major issues like climate change and seasonality. Likewise, we have examined issues related to the evolution in the technology used in the tourism industry in order to analyse tourist behaviour and use these new technological tools to create and/or transform tourist destinations sustainably. 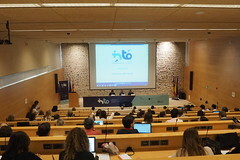 In this 12th edition, representatives from the public administrations, businesses, researchers, professors, students and professionals from a variety of fields will gather to speak about and analyse the concept of artificial intelligence and its opportunities for the tourism industry. 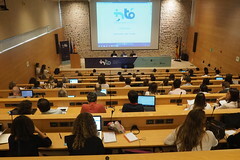 The main goal of the INTO seminar is to foster the transfer of knowledge and promote innovation throughout the entire value chain in the tourism industry in order to improve the competitiveness of the Balearic Islands. DR. THORSTEN TEICHERT – Big Data for Big Insights: Marketing potential for the tourism industry. Chair of Marketing and Innovation at the University of Hamburg. 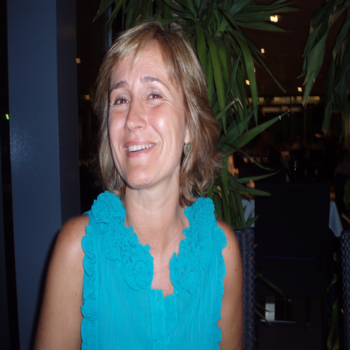 MS. FIONA GILLEN – Marketing VP at ReviewPro. MS. MAR MUÑOZ – Tourism Big Data Strategist at IT Travel Services. Workshop to learn the method and steps involved in designing and developing artificial intelligence solutions applied to the tourism sector. The workshop will focus on design thinking to co-create solutions to maximise a customer’s experience of tourism. Define, implement and coordinate sales policies and maximize centralized sales of the hotels in Asia Pacific, helping to Global Sales and Hotels in Asia Pacific to build a strong view of the direct customer segment to ensure growth in sales through the online channel, call center, GDS reservation systems and other integrations, especially in the Chinese market and Asian markets as a source markets and hotels in Asia Pacific as receivers. Implement and coordinate commercial policies and maximize centralized sales of hotels in Spain and Portugal as well as the Spanish and Portuguese markets as source markets. Responsible for the search engine positioning of Solmelia.com and mini Sol Meliá sites. Designer and web developer within the online marketing team of Sol Melia. 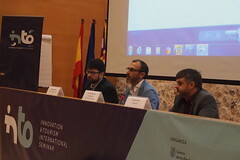 Carles Sierra is Vice-Director of the Artificial Intelligence Research Institute (IIIA) of the Spanish National Research Council (CSIC) located in the area of Barcelona. He has been contributing to Artificial Intelligence research since 1985 in the areas of Knowledge Representation, Auctions, Electronic Institutions, Autonomous Agents and Multiagent Systems, and Agreement Technologies. 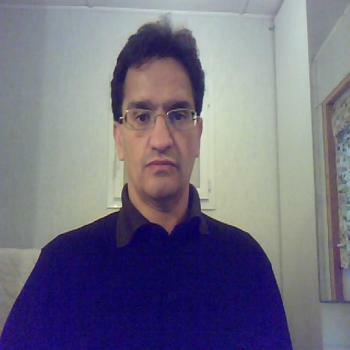 He has participated in more than 20 EU funded projects, is or has been member of several journal editorial boards including AIJ and JAIR and is the editor-in-chief of the JAAMAS journal. He has published more than 400 papers that have received 17000+ citations. He organised IJCAI in 2011 in Barcelona and was the Program Chair of IJCAI 2017 in Melbourne. He is an EurAI Fellow. Stephan Wirth is Co-founder and Leader of the Robot Navigation Team at the California-based robotics startup Savioke, developer of Relay, the leading autonomous indoor delivery robot. 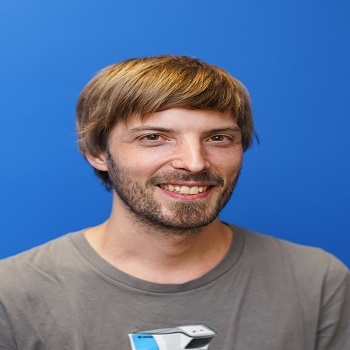 Since the company's foundation in 2013, Stephan has been responsible for the development of Savioke's major robot navigation software components. He’s now leading an international team of roboticists who ensure Savioke's robots navigate autonomously through unstructured, dynamic environments and get to their destinations in a safe and timely manner. 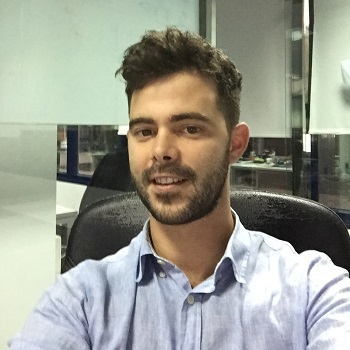 Before joining Savioke, Stephan worked at Silicon Valley robotics think tank Willow Garage and as Research Assistant at the University of the Balearic Islands. His interest in robotics arose during his studies in Koblenz, Germany, where he participated in several international robotics competitions, fascinated by the direct connection of computer science and the physical world through robots. While Stephan frequently travels to the San Francisco Bay Area, his center of life is in Palma de Majorca where he lives together with his family and enjoys the island's beautiful nature and picturesque villages during long hikes through the mountains. Session Description: The hospitality industry is hypercompetitive: rising costs, Airbnb’s increasing influence, high customer expectations, price pressure, and more. Can deploying robots help hotels gain an edge? In this session, hear how over 100 hotels worldwide have opted to deploy Relay — a fully autonomous indoor delivery robot — to bring meals, sundries, and other items directly to guest rooms. Relay safely and autonomously navigates busy lobbies and crowded hallways, operating the elevator on his own. He has made more than 165,000 deliveries and navigated over 7,000 miles to date. Relay frees up front desk staff to focus on serving guests, instead of wasting time running items up to guest rooms, and also delivers an exceptional guest experience. People love Relay and have left thousands of enthusiastic reviews about the robot on Trip Advisor and social media channels, improving hotels’ repeat booking rates and RevPAR. Find out how robots are taking the hospitality world by storm and learn tactics for integrating bots into the hotel workforce to increase guest satisfaction, boost positive reviews and ratings, and improve operational efficiency. Prof. Dr. Thorsten Teichert holds the Chair of Marketing and Innovation at the University of Hamburg. His research and consulting projects include issues in new product development, global innovation management as well as consumer behavior. Earlier in his career, Prof. Teichert acted for several years as advisor to projects in the German automotive industry and directed projects in Mergers&Acquisition and in strategic consultancy. Institutions where he completed his education or carried out research include the Technical University of Berlin (Dipl.-Ing. ), the Union College, Schenectady, NY (MBA), the Christian-Albrechts-University of Kiel (Dr. sc. pol. ), the Fuqua School of Business, Durham, NC (Research Fellow) and the WHU – Otto Beisheim Graduate School of Management, Koblenz (Habilitation). Prior to his current position, Professor Teichert was Director of the Institute for Innovation Management at the University of Berne, Switzerland. Two studies demonstrate novel applications of text mining to gain in-depth customer insights about tangible as well as intangible service attributes. From a large collection of user-generated reviews for hotels from five Chinese cities, we found that foreign tourists, who speak diverse languages, differ substantially in terms of their emphasis on the roles of various hotel attributes in forming their overall satisfaction rating for hotels. Chinese tourists domestically exhibit distinct preferences for room-related hotel attributes when compared to foreign tourists. Major interaction effects are revealed between the attributes “Rooms” and “Service” and between “Value” and “Service.” As another application case, online reviews posted by international tourists in China are analyzed to assess consumers´ perspective on the importance and performance of frontline hotel employees. Statistical methods reveal distinct factors describing consumers´ assessments of service encounters. Findings show that the importance and performance of these factors significantly varies. Results can aid hoteliers to qualify employees, improve service quality and improve customer satisfaction. Findings show that managers can integrate text mining with traditional methods of service research to optimize service encounters. The method can be applied in different settings to explore the effects of both tangible and intangible service attributes on consumer experience. 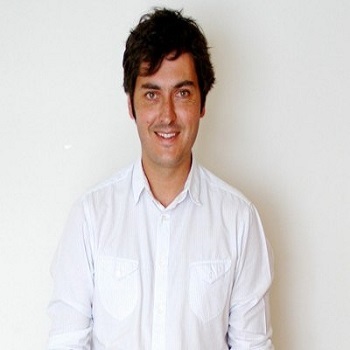 Víctor Fernández Cintrano has been the CEO of Room Mate since 2015. This is the international group which encompasses Room Mate Hotels, Be Mate (the innovative tourist housing company) and X-Perience (a consultancy with the Room Mate stamp and PwC collaboration). For four years previous to this he was the Managing Director of Room Mate Hotels. Following his incorporation, the company's results have quadrupled and he has developed an ambitious diversification and expansion project, with the company now being present in more than 16 cities around the world. Before Room Mate, Víctor developed a family real-estate company which became the leading company in the tourism consultancy sector in Spain. 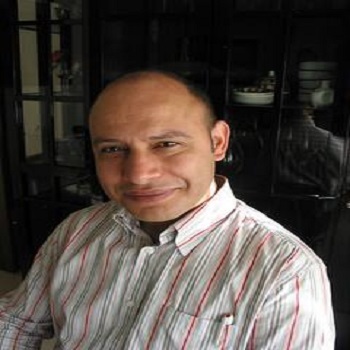 Dr Abdel Labbi is an IBM Distinguished Engineer and Distinguished Research Staff Member, two of the highest technical distinctions in IBM for both Engineering and Research. 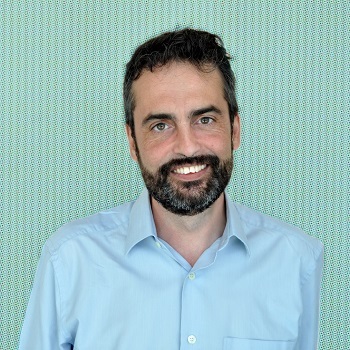 Dr. Labbi is currently working at the IBM Zurich Research Lab., where he leads an international team of senior engineers and researchers who are developing large scale data platforms and AI-powered systems for decision support. 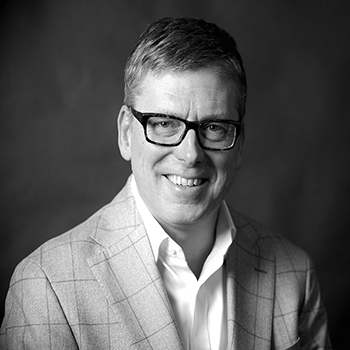 For over a decade at IBM, he has led several teams and projects in various industries spanning the whole value chain of a business, from Supply Chain Optimization to Sales & Marketing Effectiveness, Operations, Financial Planning and Operational Risk Management. The impact of Dr Labbi's work is illustrated by the patents, internal and external awards, client projects and (+100) international publications in business and scientific journals and conferences. He is a member of the IBM Academy of Technology and holds a PhD in Applied Mathematics and an MBA in Corporate Management. Before joining IBM, Dr Labbi was an Assistant Professor at the University of Geneva, Switzerland. With the abundance of data and computing everywhere, and the recent advances in large scale Analytics and Artificial Intelligence (AI) algorithms, smarter systems are permeating and disrupting every business process in every industry. The Tourism industry has been in the forefront of such innovations as it has been adopting AI for various business processes such as Real-Time Personalization, Booking, Smarter Travel Consultants, Smatter Chat-bots, etc. This presentation consists of two sections, first we will describe fundamental technology trends that are driving accelerated development and deployment on AI-powerd systems, then we will review some real-world use-cases and how they are driving new customer value and new efficiencies in the Tourism Industry. Miguel Escalona-Morán has a PhD in Physics and he is a researcher into the fundamentals of artificial intelligence. He is the author of over 10 articles on machine learning and many more on his findings on game theory, chaos theory, complex systems and inferential statistics. To complete his CV, he studied neuroscience at MIT and memory, learning and the formation process of their respective neural networks at Harvard Medical School. Since 2015, Dr Escalona-Morán has applied his knowledge to the use of data science in the tourism sector. 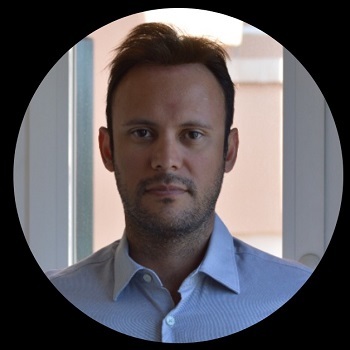 He is currently the lead data scientist at the Barceló Group and he coordinates the Group’s digital transformation in the use of scientific and artificial intelligence processes in business. His current projects range from the fair allocation of resources to forecasting tourism product prices and include inferring and predicting customer behaviour based on a 360-degree vision thereof. Artificial intelligence (AI) is usually associated with science fiction. However, every day sees the arrival of new tools that help us use AI in many economic sectors and tourism is no exception. From acquiring new customers and redirecting them to our direct sales channels to optimising operational processes, AI always has a contribution to make. Although AI is extremely useful for our company, we could not, however, do much without our customers. Because it is our customers that make our company what it is. Knowing more about them helps us differentiate between what works well and what does not in our operation, leading to simple improvements in customer experiences that can have a huge economic and personal impact. In this presentation we will discuss some ideas on how AI can help large and small businesses in the sector. Javier Andrés Sánchez, 30 years old. 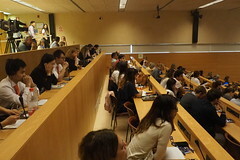 Education: Graduate in Industrial Engineering from the Polytechnic University of Catalonia, UPC (2005–2009), MBA from IESE Business School (2017). 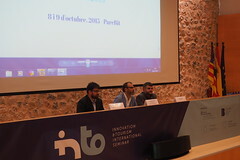 �	I founded 7ideas in 2012. We began in cruise holiday distribution --> The basis of the business was product “recommendation” algorithms. �	We added the hotel product line in 2014. �	Since then we have had double-digit year-on-year growth obtaining a turnover of +100 M in 2016. �	We launched ROOMDI onto the market in 2017. It is a new OTA specialising in metasearch engines. �	Since September 2017, I have been responsible for the hotel business line of the Logitravel Group. Fiona Gillen is VP of Marketing at ReviewPro, the leading provider of Guest Intelligence solutions for the hotel industry. 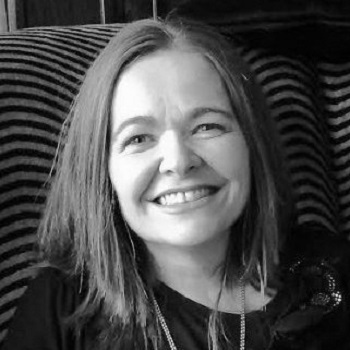 With 20 years’ experience working in marketing internationally, Fiona is an expert in digital marketing, customer behavior and online reputation management. Prior to ReviewPro, Fiona was the VP of Marketing at Splendia, a luxury Online Travel Agency. Abstract Leveraging Guest Intelligence to Deliver Better Experiences & Boost Revenue In today’s competitive tourism market, the key to success is finding a way to exceed traveler expectations. During this session, Fiona Gillen will explore the latest technological advances in guest experience management, including examples from leading organizations who are using technology to interact with customers before, during and after their visit, giving rise to remarkable results. Join this discussion to hear how to leverage Guest Intelligence effectively to drive higher customer satisfaction, rankings on online review sites and revenue. Currently: o CEO of Nektiu: o Artificial Intelligence and Cognitive Solutions o Digital Video Platform for Cognitive Training and Communication o Business Ambassador of Opinno (a benchmark global innovation and strategy consultancy firm o Strategic consultant in IoT and Industry 4.0 at DIODE: Wholesale leader in communication electronics and IoT. Previous: � Professional career in leading multinational firms in technology and digital sectors in Tecnalia Research & Innovation, Telefónica, B2B services at Rentokil Initial and B2C mass consumption at P&G, Colgate Palmolive, Pernord Ricard, 20Th FOX and EMI. 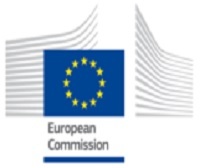 Academic work: � Director and professor of the Advanced Programme on the Internet of Things and Industry 4.0, on Senior Management in Digital Technologie and Advanced Programme in Virtual and Augmented Reality and the Advanced Course in Artificial Intelligence at ICEMD Digital Economy Institute – ESIC Business & Marketing School. Education: � Executive MBA from IE Business School, PDD (Management Development Programme) from IESE Business School, Master’s Degree in Technology and Management from Deusto Business School. Graduate in Business Administration and Management and in Sales and Marketing Management from ESIC. Javier Varona received her degree in Computer Science and her Ph. D. in Computer Science from the Universitat Autònoma de Barcelona. He is an expert researcher in computer vision and machine learning for human computer interaction and human behavior analysis. 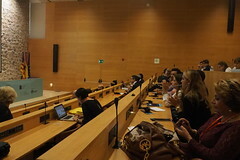 He was researcher in the Computer Vision Centre (CVC) at the Universitat Autònoma de Barcelona. 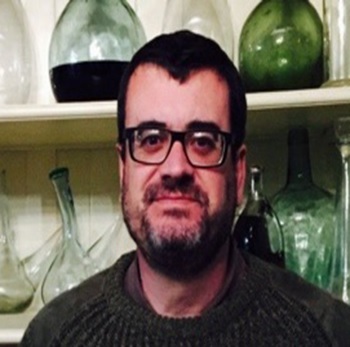 Since 2003, he is researcher at the Universitat de les Illes Balears (UIB), and from 2009, he is also Associate Professor in the Dept. of Mathematics and Computer Science. He has participated in over 20 funded research projects. He was Director of the Master in Information Technologies and Co-Director of the PhD program in Computer Science. Deputy director of the Mathematics and Computer Science Department. Deputy director of the Center for Postgraduate Studies. Currently, he is the UIB’s Technology Vice-chancellor. New tools and techniques within Artificial Intelligence (AI) are providing a revolution on how society deals with software. One of the sectors that can greatly benefit from these new techniques is tourism. Applications range from recommendation systems for tourists to improved management tools. Among the different AI fields, automated planning provides software solutions that can automatically generate plans that achieve some goals taking into account metrics. The PLG group has been generating applications of automated planning in domain as varied as Mars rovers exploration, workflow management, or logistics transportation. In the case of tourism, PLG has developed tools that generate personalized routes for tourists, taking into account recommendations from social networks, schedules of places, and tourists' profiles. Positive is the best adjective to describe me, and passionate about technology as well. I have worked in the tourism-oriented technology world for over 20 years and every day is a chance to learn and apply something new in the digital transformation we find ourselves immersed in. I used to develop technology before; now I bring technology as a facilitator to improve business processes based on Big Data techniques. A generous leader by nature, I create efficient work environments based on respect for every member of my team to foster their skills and also increase their motivation and confidence. By enhancing the best they have to offer, we manage to make a positive impact on our customers, suppliers and community in general. Information Technology Engineer (Polytechnic University of Madrid - UPM), Master’s Degree in Big Data (International University of La Rioja - UNIR) and Advanced General Management Programme (IESE Business School). I have held several different positions, for example working as Head of the Systems Department (nine years at Barceló Viajes), Head of E-Commerce (three years at Barceló Viajes), Sales and Marketing Manager (four years at eDreams and Barceló Viajes) and I am currently CEO at IT Travel Services where we implement Big Data projects. 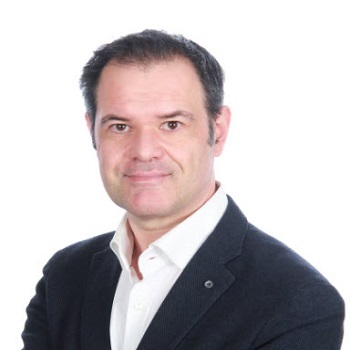 Diego R. Medina Muñoz is professor at the University of Las Palmas de Gran Canaria (ULPGC), PhD on Economic Sciences and Management by the ULPGC and Master of Science in Hotel and Food Service Management by the School of Hospitality Management, Florida International University. 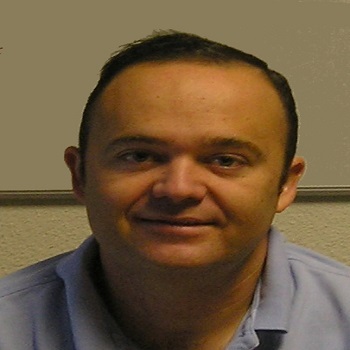 Diego R. Medina Muñoz is professor at the University of Las Palmas de Gran Canaria (ULPGC), PhD on Economic Sciences and Management by the ULPGC and Master of Science in Hotel and Food Service Management by the School of Hospitality Management, Florida International University. He also collaborates with French universities. He actually holds three “sexenios de investigación”. 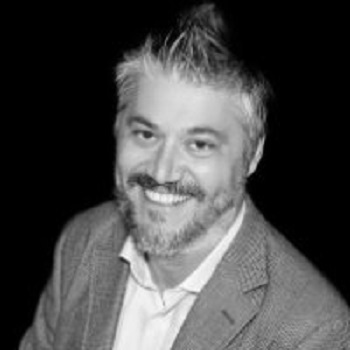 His research has been mostly applied to the tourism industry and it relates to the following research lines: strategic management, competitiveness, innovation, sustainability, corporate social responsibility and poverty alleviation, wellness and well-being tourism, relationship marketing and collaborative strategies. He has authored manuscript published in the most relevant academic journals on tourism: Annals of Tourism Research, Journal of Sustainable Tourism, Tourism Management, Cornell Hotel and Restaurant Administration Quarterly, International Journal of Hospitality Management, Sustainable Development, Current Issues in Tourism, International Journal of Tourism Research, Tourism Economics, Scandinavian Journal of Hospitality and Tourism, Tourism Review, Regional Studies, The Service Industries Journal, International Journal of Leisure and Tourism Marketing, Greener Management International, Business Strategy and the Environment, Tourism and Management Studies. He has also collaborated with the World Tourism Organization and the United Nations Conference on Trade and Development (UNCTAD). Passionate about creation, knowledge and development. He is founder of SOM (2013). Passionate about creation, knowledge and development. Founder of SOM(2013). Passionate about creation, knowledge and development. He has left his comfort zone several times: the first when he left academia and enter the business world; the second when he came out of the political closet and dealt with the media taboos; and the third time when he stepped down from executive positions and faced the enormous challenge of creating a business of his own and fight tooth and nail in a country in which being an entrepreneur truly deserves the Gold Medal. Being a founding partner of SOM (2013) is the business challenge he is grappling with today. 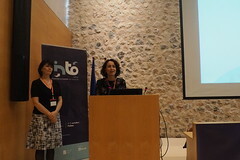 Marta Jacob is an Associate Professor of the Department of Applied Economics, University of the Balearic Islands, Spain. 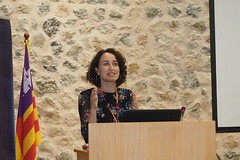 Her research focuses on innovation activities in service and tourism sectors, on the analysis of different types of tourism such as yacht charter tourism and lately in the areas of pricing in the hotel sector. Papers published in scientific journals such as Annals of Tourism Research, Journal of Agricultural Economics, Tourism Management and Tourism Economics. He has been Director of Telefónica’s Research and Study Centre, Assistant General Manager of Telefónica Investigación y Desarrollo S.A. He has been Director of Telefónica’s Research and Study Centre, Assistant General Manager of Telefónica Investigación y Desarrollo S.A., Managing Director and CEO of Amper Programas de Electrónica y Comunicaciones S.A. and Managing Director of Cotec. 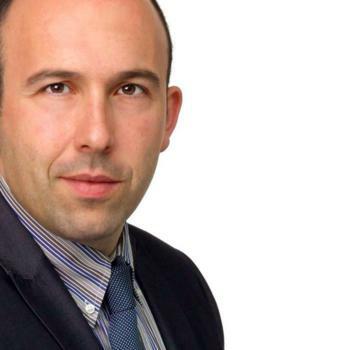 He has worked as an Assistant Professor, a Professor and a Senior Lecturer at the Universidad Politécnica de Madrid, and as an Assistant Professor at the Universidad Carlos III of Madrid. He has been a member of the Industrial Research & Development Advisory Committee (IRDAC) and the European Research Advisory Board (EURAB) of the European Union, a Board Member of the Spanish Science and Technology Foundation (FECYT), a member of the Advisory Board of Telefónica I+D and a member of the Social Council of Farmandustria He has been a member of the Board of Directors of Axon Capital SGCR, where he was President, and of Intelsa, Comet, AT&T Microelectrónica de España and Amper Programas. 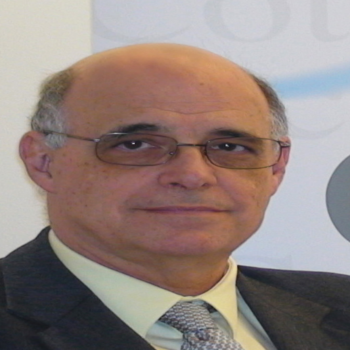 He is currently a member of the Advisory Board for Science and Technology of the High Consultative Council of the Engineering Institute of Spain, a scholar at the European Academy of Sciences and Arts, and a trustee of IMDEANetworks and España Digital.